The 3D printing technology is gaining importance in more and more applications compared to conventional production methods. For the chemical industry in particular, this opens up promising opportunities. When it comes to technology, the media can’t seem to get enough of 3D printing. This cutting-edge technology presented as an innovation with the potential to radically transform production and global supply chains, is at the forefront of change on nearly all levels of industry, medicine and society. These claims are not the least bit unfounded. However, as with most cutting-edge developments, the Devil is in the details, and if you want to understand how to ride the wave of change, it is the small things working behind the scenes that turn this revolutionary technology into an innovative work-horse of the future. In this article, I’ll be discussing how the chemical industry, in particular, should be adapting its business models to take advantage of 3D printing. The process of 3D printing involves bonding materials together in layers – usually polymers or metals. Driven by 3D modelling data, the printing equipment gradually builds up solid forms. In fact, extremely complex items can be produced and optimized in a single step, and with minimal waste product. Exciting possibilities immediately spring to mind: highly customized products, production on small to mid-sized scales, new approaches based on time-to-market, and much more. Give it just a few moments’ thought, and you begin to understand the sheer range of potential application, and the gravity of claims being made for 3D printing. Nevertheless, 3D printing technologies have a significant disadvantage compared to current manufacturing technologies. In several applications, costs per part are higher because of longer cycle times and the lack of technological maturity. And, as costs are always a driver for a widespread application of a certain technology, 3D printing will only pay off if system costs along the value chain are lower than the current ones and some value chain steps can be eliminated. For more and more applications, this system cost advantage is becoming reality. Due to new markets, advanced 3D printing technologies and the industry learning curve, new applications are arising quickly. Big companies along the value chain like GE, HP, MAN or Daimler – to name a few – are investing in 3D printing technologies. That tide of change is already being felt by chemical companies. Downstream organizations are thinking and working in new ways that have given rise to a variety of use cases for 3D printing. It’s a phenomenon that will demand new business models, process organization and operational improvements, including those from raw material suppliers. In recent interviews conducted by CAMELOT, Tobias Caspari, head of Heraeus Additive Manufacturing, and Dr. Erik Reuther, New Business Development at Clariant SE, confirmed this view. Tobias Caspari indicated that pressure from downstream organizations is often associated with decentralization of customers’ production processes. But there are, he said, many use cases for 3D printing, so the industry should think in terms of more than one business model for 3D printing market. Dr. Erik Reuther discussed the effect of 3D printing on vertical integration. His key observation was that the value chain will inevitably be shortened. Both of the experts sounded a note of realism. The chances of market growth based on 3D printing are, as yet, uncertain, they explained. So, for now, it should chiefly be seen as a source of additional business. Spurred on by these interviews, CAMELOT conducted an in-depth study designed to evaluate the future impact of 3D printing and generate recommendations for business model change. It involved 220 industry experts from across the value chain. In summary, the results painted a worrying picture of under-preparation. Firstly, the participants were asked about the effect of 3D printing on the strategic areas of product portfolio, business model, competitiveness, pricing and innovation. The percentage of respondents who foresaw a major impact on any one of those areas was far smaller for chemical companies than for other industries. Only 33-45% anticipated that 3D printing would have a major impact on future strategic decisions. The study also asked about potential effects on operations – especially production, procurement, IT, supply-chain management, logistics and spare parts businesses. An alarming 42% of chemical industry respondents anticipated a low impact for all the categories. Our conclusion was stark. 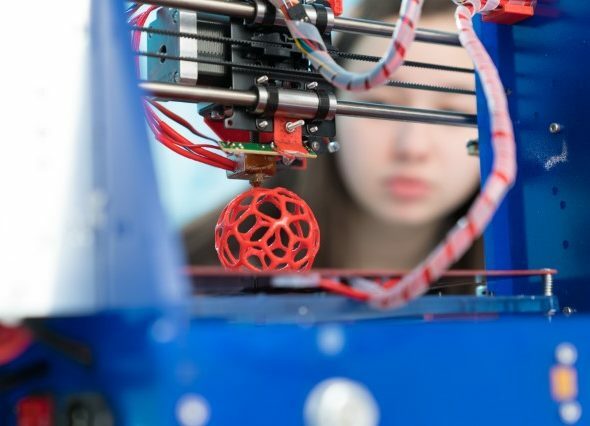 Without a significant cultural shift, many chemical companies will struggle to satisfy customer demand for a new type of value chain based around 3D printing. With that in mind, CAMELOT set to work creating some key insights and recommendations. We looked at three potential approaches to 3D printing that chemical companies might be tempted by. Here are our assessments of those approaches. This promises only limited market growth and therefore a lack of scalability for raw material suppliers. Some specialized SMEs will be the major winners in this scenario. Considerable effort in R&D and re-organization is unlikely to pay off. Lean business models should be favored, making use of external distributors as well as an in-house sales channel. There are good cases studies for production of small- and mid-sized series, focusing on niche market segments. Create a separate business model and company structures, including a sales channel, to help protect your existing market position. Use R&D to develop new formulations. But: Keep things lean. A broad range of market segments use 3D printing as the preferred production technology for spare parts, prototypes, and small- to mid-sized production. Due to the rise of 3D printing, the value chain is disrupted. A lot of converters loose a significant part of their business, whereas other companies emerge. Identify a sweet spot in the value chain and create a tailored business model. Consider both vertical integration and collaborations. For example, development of new materials, such as polymers, has sales-boosting potential. Increasing small shipments may require logistical and supply chain changes. In conclusion, allow me to list some recommended practices for chemical companies looking to benefit from 3D printing. Be open to new service opportunities as well as new technical opportunities. Identify applications with the highest impact on customer industries. Consider collaboration as a way of dealing with small market volumes. Create separate company structures dedicated to 3D printing. Stay focused on applications where you can provide added value. Re-evaluate your supply network in light of shipment size and customer decentralization. For a detailed insight into the possibilities and pitfalls of 3D printing, you can download the full CAMELOT study. Does AI have an Impact on how Shared Service Centers will be set up in the Future?